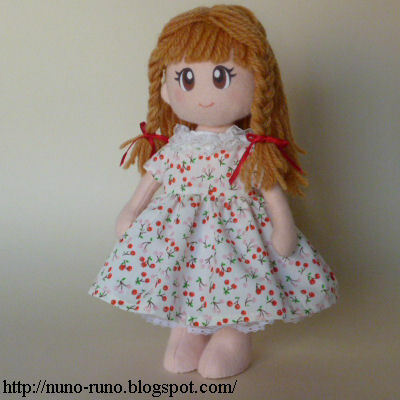 One-piece dress for simple felt doll. 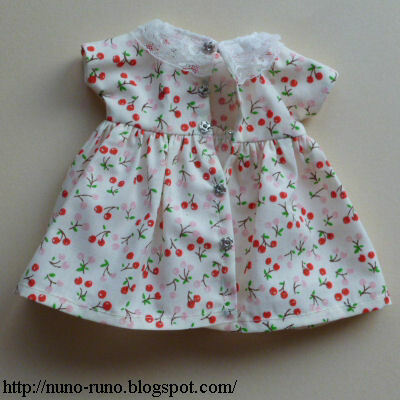 This is an example. You will make one in your way. 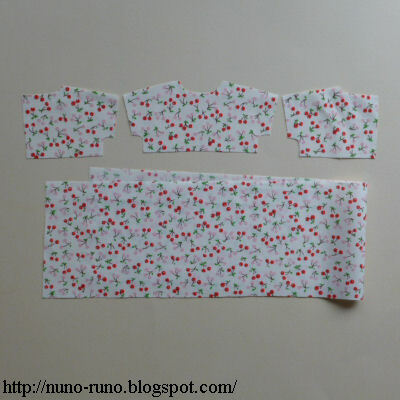 Add seam allowance (4 or 5 millimeters). But the opening of the back needs 13 millimeters. Skirt is larger than the petticoat a little. Skirt includes margin. 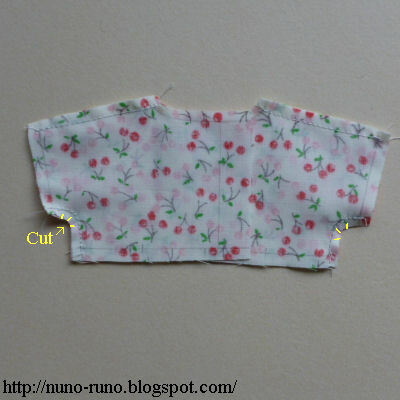 Sew up the shoulder and side. Put notches in the margin of the side. 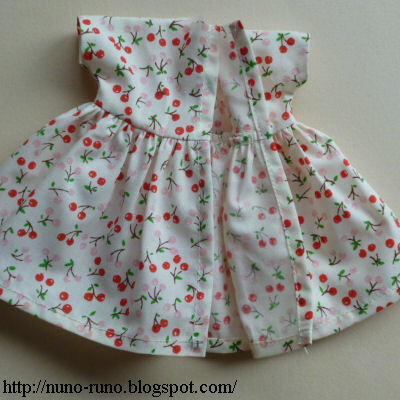 Gather the skirt and sew it to the waist. 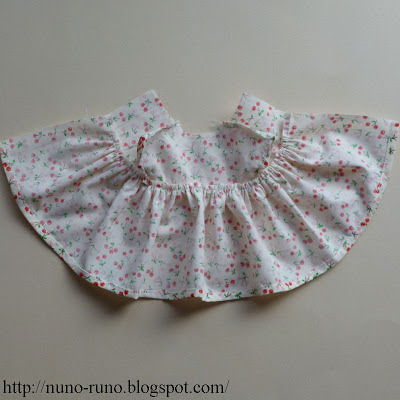 Fold and stitch the bottom of skirt and cuffs. Sew some gathered lace to the neckline.